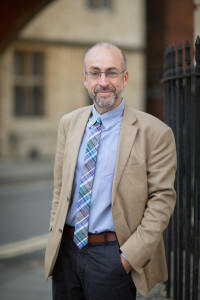 Simon Lovestone is Professor of Translational Neuroscience at Oxford University and also Lead for the NIHR Translational Research Collaboration in Dementia (a network of six Biomedical Research Units and Centres in England focussed on dementia), lead for informatics in the Dementias Platform UK and co-coordinator of the European Medical Information Framework. He has research interests in the regulation of tau phosphorylation, in the search for genetic and other biomarkers of Alzheimer’s disease and building on these, in drug discovery and experimental medicine. Underpinning all these studies is the use of informatics – clinical informatics, bioinformatics and the challenges of extracting value from very large variable datasets. He is also a practicing Old Age Psychiatrist specialising in dementia detection, diagnosis and management. Click here for more information on the Translational Neuroscience and Dementia Research lab group’s work. Click here for more information on the Alzheimer’s Research UK Oxford Drug Development Institute led by Lovestone and Bountra.